Attach directly onto most Shotgun & Rifle Stock. Construct of Fabric that is resistant to abrasions, tears, scuffs & punctures. Textured Reverse Side add extra comfort to your cheek. 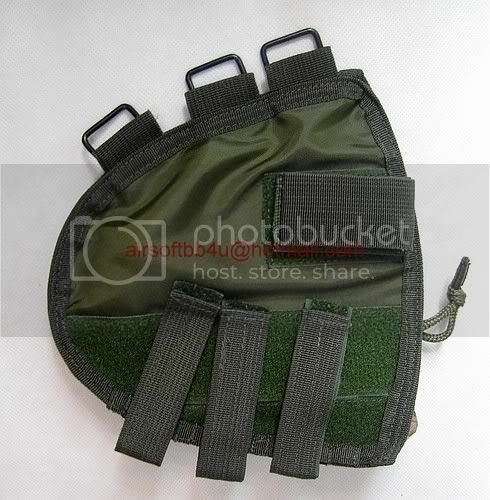 Two Velcro Attached Ammo Holder (One Inside & One Outside). Zipper open up additional accessory space . 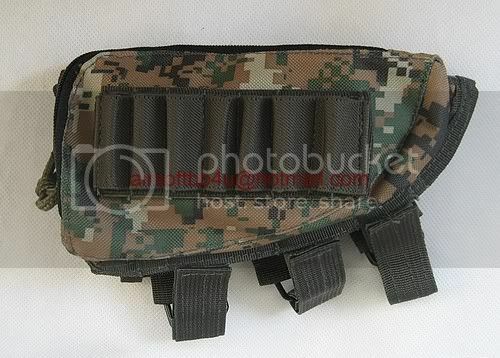 Perfect for Law Enforcement, Military Ops. 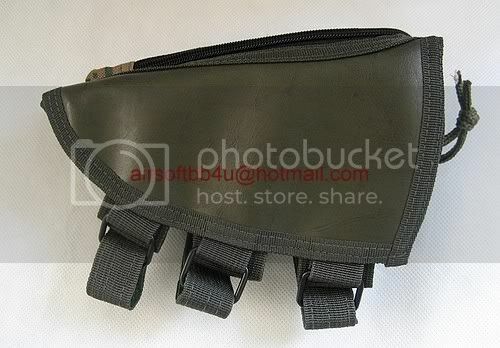 Also great for outdoor skirmish game use.